For this week's post I took inspiration for all the YouTube beauty guru's. I swear every video I watched the girls hard dark nail polish adorning their nails. So naturally after finishing perusing YouTube I HAD to paint my nails a dark color. After going through my mass collection of nail polish I dubbed NYC's Lincoln Center the perfect dark polish I was looking for! 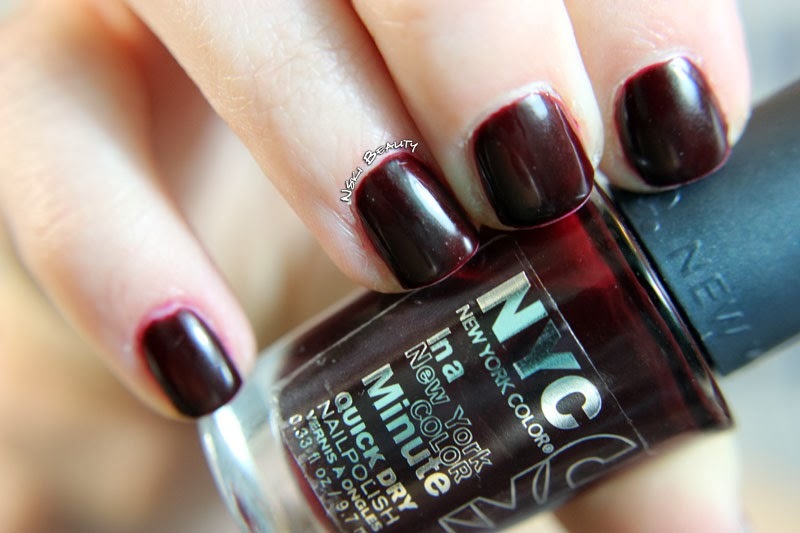 I applied two thick coats that left me with the appearance of a solid opaque polish. All though when the flash is present in the photos you can see some color streaking.